This is a site to showcase robots using ROS. You can browse all, by tag or category as well as search. If there's a robot you want to see here please contribute via a pull request on github. The TurtleBot3 is a new generation mobile robot that is modular, compact and customizable. ROSbot 2.0 is a successor of ROSbot - an autonomous, open source robot platform - now with a RGBD camera and improved design. It can be used as a learning platform for ROS as well as a base for a variety of robotic applications. This repository is about 6-axis Doosan robots. It includes packages such as moveit, Gazebo, as well as Doosan controller interlocking packages for ROS. The MP-500 is a medium sized mobile robot designed for indoor applications that are too rough for other robots. The mobile manipulator MMO-700 combines the omnidirectional base MPO-700 with a light-weight robot arm from Universal Robots, Kuka, Schunk or PILZ. The mobile manipulator MMO-500 combines the omnidirectional base MPO-500 with a light-weight robot arm from Universal Robots, Kuka, Schunk or PILZ. The Open Rover is designed for companies looking for a rugged affordable robot to build on top of, where 100's or 1000's of robots can be deployed with minimal maintanance cost. The low-cost ROS robot with big capabilities! 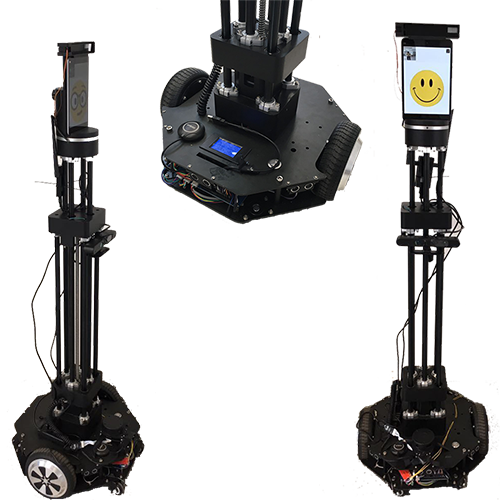 The PRBT is a compact, low weight 6 axis manipulator suitable for mobile applications and other areas in industry and service robotics. The ST Robotics r12 is a low-cost 5 axis articulated robot arm suitable for a range of automation tasks. It is low cost, highly accurate, and fast. QTrobot, a toddler-like humanoid built by LuxAI S.A, is a socially engaging and interactive robot with a wide areas of application. QTrobot is currently being used for emotional training of children with autism, post-stroke rehabilitation and elderly cognitive and physical rehabilitation. This repository is part of the ROS-Industrial program. 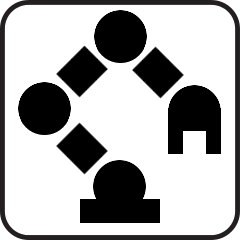 It currently contains packages that provide nodes for communication with universal robot manipulators, URDF models for supported manipulators and associated MoveIt packages. This repository is part of the ROS-Industrial program. It currently contains packages that provide nodes for communication with Fanuc industrial robot controllers, URDF models for supported manipulators and associated MoveIt packages. patented design with six-wheeled independent drive suspension and independent steering, a unique and flexible control mode, outstanding passability, omnidirectional motion modes, and unique flexible shock absorbing steering mechanism. TALOS is a fully electrical humanoid robot that has sensored torque control in all its joints and uses EtherCAT bus protocol. 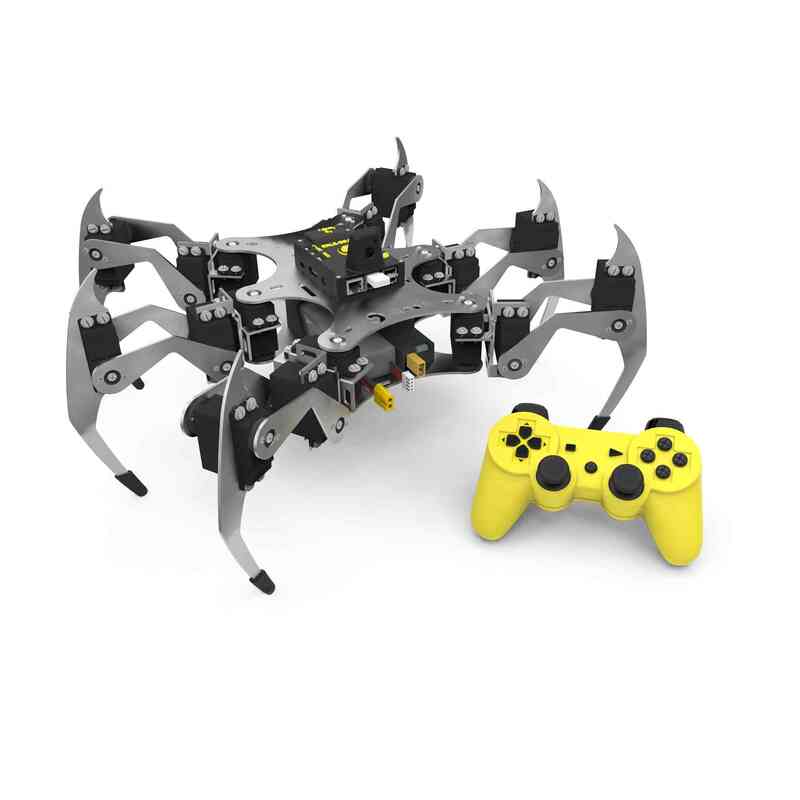 It is ready to tackle complex industrial tasks with its 6 Kg payload with each arm. SUMMIT-XL STEEL is a robotic platform for application development (logistics, indoor transport, etc.) manufactured by Robotnik. OpenCR means Open-source Control Module for ROS. OpenCR is developed for ROS embedded systems to provide completely open-source hardware and software. Dynamixel (Dynamic + Cell) is a high-performance, all-in-one actuator designed for multi-jointed robot configurations. ROBOTIS OP3 is the latest miniature humanoid robot platform from ROBOTIS that succeeds ROBOTIS OP(aka “DARWIN OP”) and ROBOTIS OP2(aka “DARWIN 2” or “DARWIN OP2”). The RH-P12-RN is 1-DOF two-finger hand. It supports DYNAMIXEL 2.0 protocol via DYNAMIXEL BUS. This hand designed for adaptive gripping, so you can use it for adaptive gripping for various shapes of objects. Also, it supports torque control and current-based position control make it possible to pick up objects of various materials. ROS-enabled OpenManipulator is a full open robot platform consisting of OpenSoftware, OpenHardware and OpenCR(Embedded board)​. 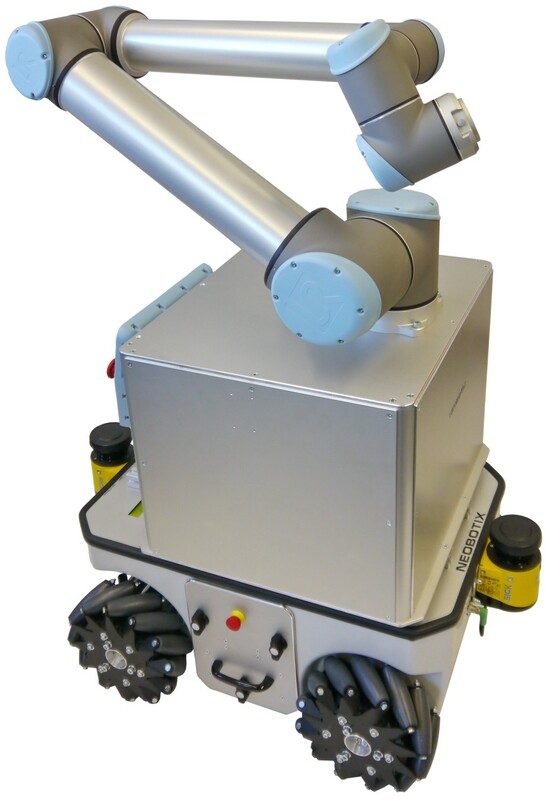 Magni provides a solid base to jumpstart your robotics application. 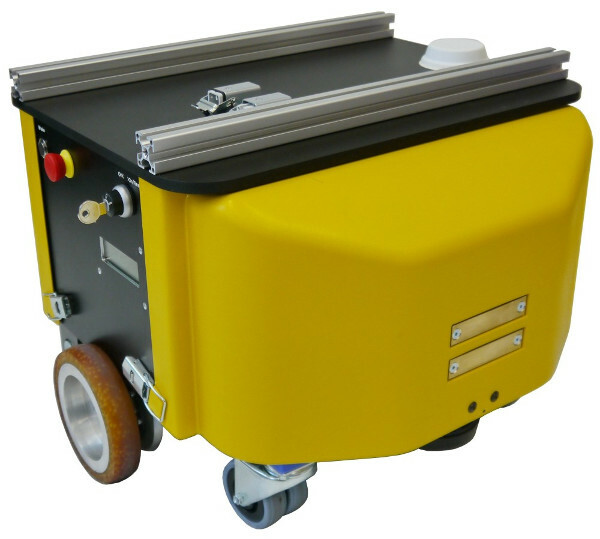 With a payload over 100kg, at an affordable price, Magni is a powerful and capable mobile base. Revel is an affordable robotic manipulator useful for research, education and mobile robots. The Elfin is an affordable 6-DOF manipulator designed for research and automation. Bo, is the first embodiment of the BotsAndUs technology. It is a new, dynamic, autonomous robot for brand engagement. With an AI driven data acquisition system it allows companies to listen and adapt in realtime to their customers true needs. Romeo is a humanoid robot built by Aldebaran. Carla is a self-driving Lincoln MKZ developed by Udacity and equipped with LIDAR, radar, and cameras. RB-1 BASE is a mobile platform designed for the research of robotic solutions and the development of applications. Han's Cute is an affordable 7-DOF manipulator designed for research and automation. Surface vessel featuring a payload bay for mounting submerged sensors or equipment on deck. Comes pre-installed with Linux and ROS. Turtlebot Euclid is a mobile robot platform designed for learning and development. Robot with LiDAR, designed to learn and develop ROS projects, with a dedicated tutorial available. Good base to add extensions - sensors, grippers, etc. thanks to many interfaces available on the rear panel. 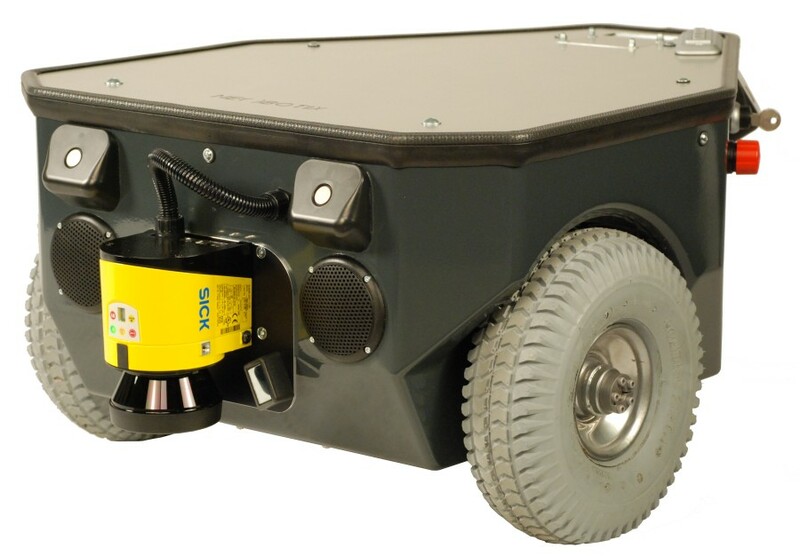 The bulldog(professional Robot) is a robust and versatile middle size plazfrom designed for outdoor operations. Co-developed by NVIDIA and the robotics department at California Polytechnic State University, ‘Jet’ is a smart, autonomous robot based on the NVIDIA Jetson embedded development platform utilizing Servocity Acotobotics components. Jet’s brain is built around the NVIDIA Tegra SoC and uses the same NVIDIA computing cores designed into supercomputers. 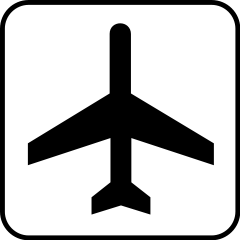 This gives Jet compute-intensive computer vision, artificial intelligence (AI), and self-driving capabilities in a low-cost package. Panther is an outdoor tracked robot, with a ZED stereocamera and an NVIDIA Jetson TX2, this robot can interact with all objects around it. Oculus Prime SLAM Navigator is a low cost, open-source mobile robot available from Xaxxon Technologies, ready for ROS applications -- with auto-charging, ROS navigation, and internet tele-operation. 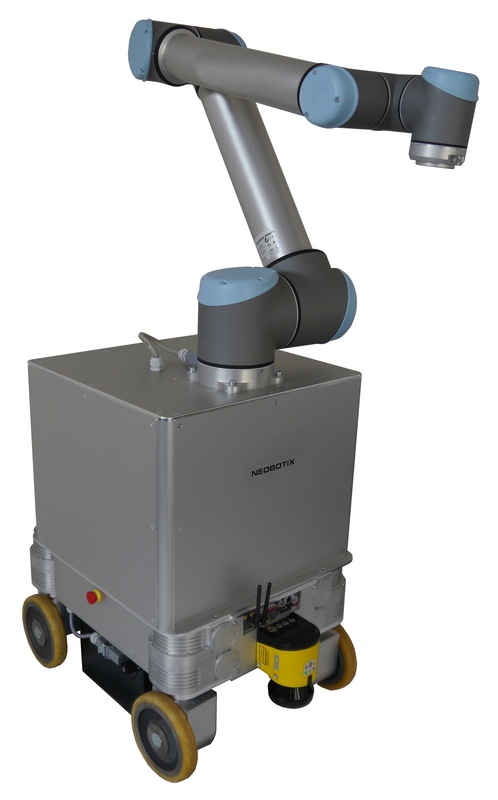 Neobotix MP-400 is a small, agile robot for material flow and intralogistics in industrial applications. Automatic charging station and load handling system available. The mobile robot Neobotix MPO-500 features four Mecanum wheels which provide an extraordinary manoeuvrability. The mobile robot Neobotix MPO-700 is the ideal base for high-end service robots. Its four Omni-Drive-Modules enable it to move extremely smoothly into any direction. The anthropomorphic SCHUNK 5-finger hand grips nearly as perfectly as the human hand. Due to the moving parts with a total of nine drives, various gripping operations can be executed with high sensitivity. Elastic gripping surfaces ensure a reliable grip on objects. The most compact, powerful lightweight arm in the world with three highly-integrated Powerball modules offers 6 degrees of freedom. Integrated intelligence makes powerful, mobile handling possible as never before. AutoRally is a high-performance testbed for robotics research. Xiaoqiang is a three wheeled development platform for robot enthusiasts or developers. TUlip is a humanoid robot developed in the Dynamics and Control group of the department of Mechanical Engineering at the Eindhoven University of Technology. Spark is an affordable development platform for ROS applications, with mobility and vision system. The ROBOTIS-MANIPULATOR is an affordable multi-purpose manipulator designed for research and automation. Pepper is a commercially available humanoid robot built by Aldebaran and Softbank Robotics. CROM is an upper body robot intended for research in manufacturing environments. RoboTiCan ARMadillo is a mobile base with an arm that is fully compatible with ROS. SensorHand Speed is a hand prosthetics product developed by Otto Bock. The Nav2 is a modular robotics platform created by Crosswing Inc, consisting of an omniwheel holonomic mobile base and interchangeable upper components. MRP2 is an easy to use mobile research robot developed by Milvus Robotics. 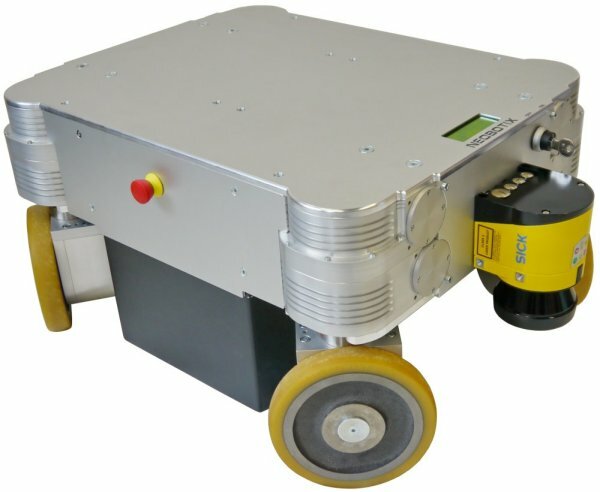 The Merlin MiabotPRO is a small autonomous mobile robot featuring a high precision drive train, dual processor design, onboard wireless communications, with extensive support for additional peripherals. Maggie robot is a social robot platform built by the Social Robots Group from RoboticsLab at University Carlos III of Madrid. The MICO Robot Arm is modular and efficient, with a payload-to-weight ratio that is ideal for day to day activities. NXT is a modular robotics kit manufactured by Lego. The JACO Robot Arm is modular and efficient, with a payload-to-weight ratio that is ideal for day to day activities. The Roomba is an autonomous vacuum cleaner sold by iRobot. The Intel® Edison is an ultra small computing platform that will allow you to jump into ROS with a stamp size computer. The NEXTAGE OPEN / Hiro (HiroNXO) is a manipulation platform built by Kawada Industries. TIAGo Base is an indoor mobile robot designed with minimum footprint and maximum payload in mind. Its primary sensors are a laser range finder, an IMU and ultrasound sensors with a user panel to add new devices. The Shadow Dexterous Hand is a truly anthropomorphic approach to robot manipulation. Hansbot is a high-quality and low-cost industrial mobile robot that has comparable performance with many well known players in mobile robotics area. ForteRC is a mobile robotic platform designed for research in the field of social robotics. CoroBot is a capable, expandable and affordable mobile robot platform designed to minimize the complexity of robot development. The Commonplace Robotics SRA Service Robot Arm is a light robot arm for mobile applications, but provides a large reach and good payload. The Commonplace Robotics SliderSRA is a light indoor manipulation platform. The Commonplace Robotics Mover robots are developed for education, research and entertainment. Warthog is a large all-terrain unmanned ground vehicle capable of traveling on land and in water. 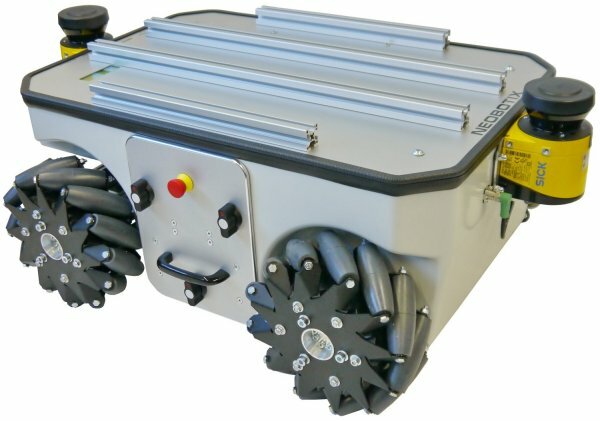 Ridgeback is a midsize indoor robot platform that uses an omni-drive to move manipulators and heavy payloads with ease. BIG-i is a natural-interaction robot with mobility, 3D vision, voice programming, and active perception. ASIMoV Robotics has launched a new series of multi-purpose mobile platforms useful for indoor and outdoor applications with unique omni-directional mobility and unmatched payload capabilities. X-Terrabot's software system is written entirely in ROS. Aubo robotics I-Series are high-quality and low-cost industrial robots. This is the AR10 robotic hand from Active8 Robots. It is actuated using 10 prismatic servos which can be used to achieve a wide variety of poses. 0x series robots (pronounced as Ox) are the most versatile, accurate and durable mobile robotics platforms by Nex Robotics. Roch is an intelligent, open source mobile robot platform. Xbot is one of the best robot for beginners. The Intel® Euclid™ Development Kit features the integration of Intel® RealSense™ depth camera technology, a motion camera, and an Intel® Atom™ x7-Z8700 Quad core CPU to produce a compact and sleek all-in-one computer and depth camera. The Intel® Euclid™ Development Kit is designed to be operable out of the box with pre-installed software including an Ubuntu® operating system. 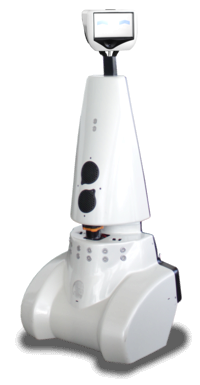 TIAGo is a service robot designed to work in indoor environments. THOR (Tactical Hazardous Operations Robot) is an affordable, full size humanoid robot platform with advanced computational power, sophisticated sensors, high payload capacity, and dynamic motion abilities to enable many exciting researches and educational activities. This platform provides researchers, engineers and hackers the ability to easily design their robotic application on top of a modular hardware interface. A Robonaut is a dexterous humanoid robot built and designed at NASA Johnson Space Center in Houston, Texas. REEM, the humanoid service robot created by PAL Robotics, can be used for several purposes. Thanks to its autonomous navigation system, its user-friendly touchscreen, and its voice and face recognition system, REEM can find its way in various surroundings and help or entertain people in most public environments. REEM-C is the latest commercial humanoid robot of PAL Robotics. REEM-C is an adult size humanoid (165 cm), and it has 44 degrees of freedom, two i7 computers, force/torque and range finders on each feet, stereo camera, 4 microphones, and other devices that make REEM-C one of the best equipped research platforms today. SUMMIT XL is a high versatile, high mobility, indoor/outdoor mobile robot platform manufactured by Robotnik. SUMMIT-X is a dual configuration mobile platform designed mainly for indoor tasks, although it also can work outdoor. Robotino comes with sensors, actuators and software interfaces that you would expect from a modern state of the art mobile robot system. 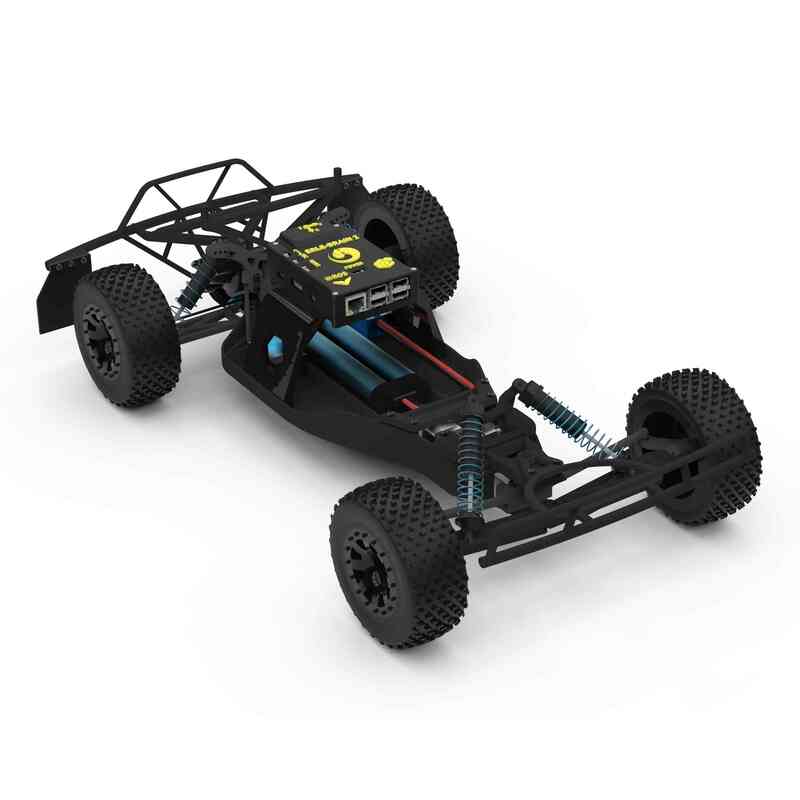 The mobile platform RBCAR has RWD Ackerman kinematics. The traction is controlled by an AC motor with incremental encoder and the direction through a power steering system with absolute encoder. RB-1 is an autonomous and configurable robot, focused on the field of research in indoor applications. The Mobility Base is a mobile base for the Rethink Robotics Baxter robot. The Mini-Lab is a medium sized robot that offers the best trade-off between robustness and price. It is suitable for research as a test-bed for the development of indoor applications. A small mobile base which is commonly used as the TurtleBot. Jazz is a mobile telepresence robot developed by Gostai. An all terrain unmanned ground vehicle. Hamster is a robust micro Autonomous Unmanned Ground Vehicle. Guardian is a modular robot with high mobility built by Robotnik Automation. 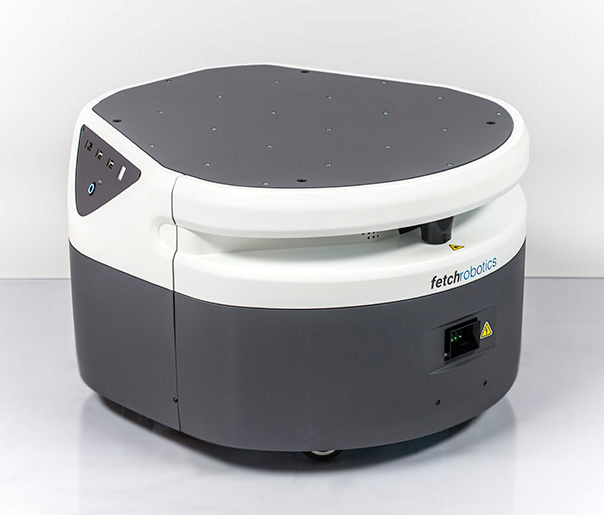 Freight is a mobile robotics platform built by Fetch Robotics. 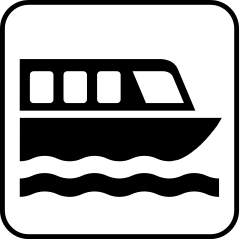 The Freight software system uses ROS extensively. 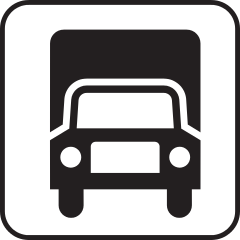 All Freight capabilities are thus available via ROS messages, services or actions. 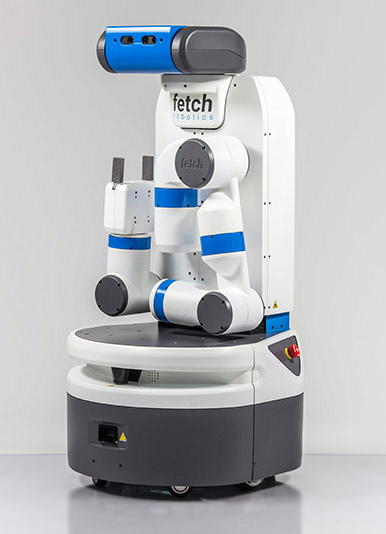 Fetch is a mobile manipulation platfor m built by Fetch Robotics. 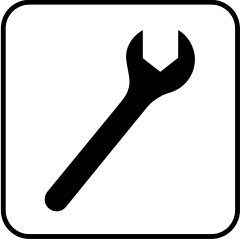 The Fetch software system uses ROS extensively. All Fetch capabilities are thus available via ROS messages, services or actions. The evarobot is a mobile robot platform built by Inovasyon Muhendislik. Erle-Rover is a Linux-based Unmanned Ground Vehicle (UGV) that uses the Robot Operating System (ROS) and the APM:Rover APM:Rover autopilot. Erle-Plane is a fixed-wing drone based on the award winner APM:Plane platform. Erle-HexaCopter is a "heavy lifter" version of Erle-Copter, a Linux-based drone that uses the award winning APM:Copter autopilot software. Erle-brain is a Linux-based autopilot for making drones. It consists of a BeagleBone Black and a PixHawk Fire cape that put together conform a 1GHz Cortex-A8 embedded computer that has 29 sensors and many interfacing possibilities. The ROS-Cyton Module provides a ROS interface for Energid's actinSE and Robai's Cyton 7-DOF humanoid manipulators. The aim of this module is to expose actinSE and the Cyton hardware API through ROS. AGVS robot is a robot for logistics transport. It is motorized by two motors controlling direction and traction. The robot has a low profile chassis, making it suitable for movement under hospital roller containers. A complete hardware and software solution that allows seamless control of throttle, brake, steering, and shifting. Kingfisher Unmanned Surface Vessel (USV) is an agile, battery operated boat designed for research and rapid prototyping. Jackal's fully integrated, weatherproof design offers unique capability in a compact package. Husky is a rugged, outdoor-ready unmanned ground vehicle (UGV), suitable for research and rapid prototyping applications. The BlueROV is a remotely operated underwater vehicle from Blue Robotics. It features Blue Robotics thrusters, a flight controller with ArduSub software, and a RaspberryPi running ROS. The BH8-series BarrettHand™ is a multi-fingered programmable grasper with the dexterity to secure target objects of different sizes, shapes, and orientations. 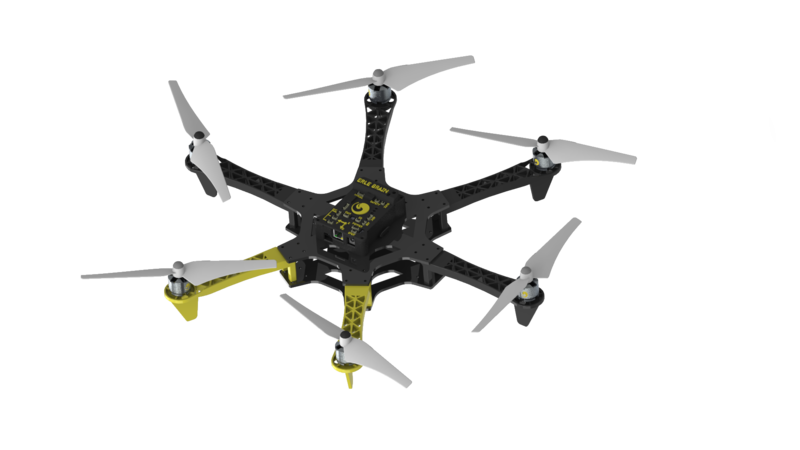 Crazyflie is an open-source and open-hardware nano quadcopter made by Bitcraze. 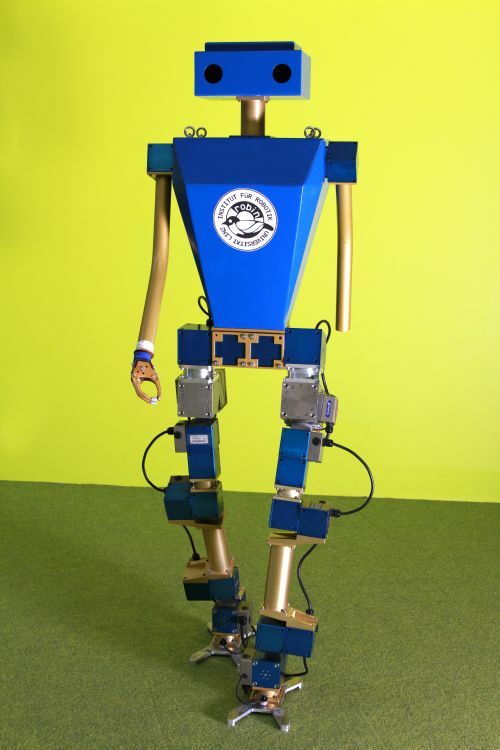 BipedRobin is a biped walking robot developed at the Institute for Robotics at Johannes Kepler University Linz. Nao is a commercially available humanoid robot built by Aldebaran. The ROS driver was originally developed by Freiburg's Humanoid Robots Lab and Armin Hornung. Innok Heros is a modular outdoor all-terrain robot platform available in 2 or 4 wheel drive configurations. Due to its modular construction, it can be easily modified to suit lots of different agricultural, logistics, industrial and research applications. The AscTec Pelican and Hummingbird quadrotor helicopters are built by Ascending Technologies and can be interfaced with ROS. AMIGO is an acronym for Autonomous Mate for IntelliGent Operations. 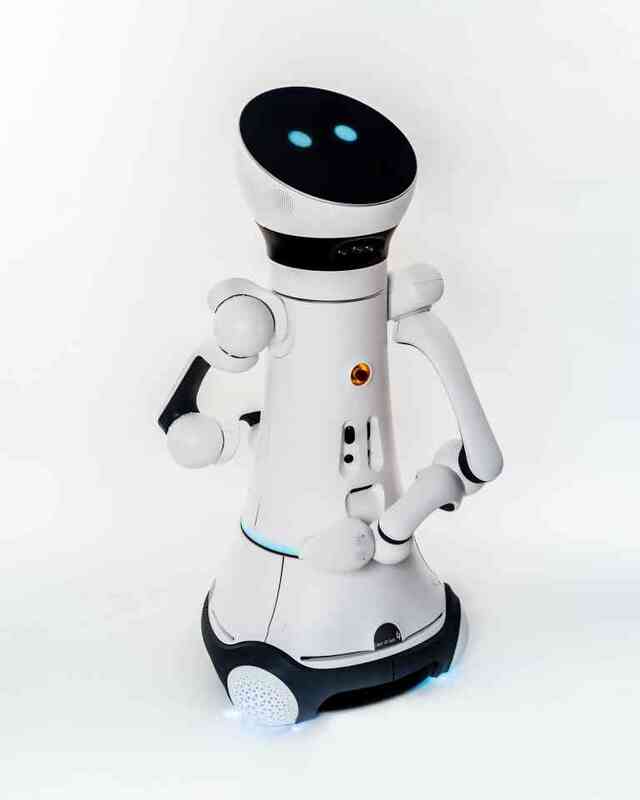 AMIGO is a domestic service robot developed and created at the Eindhoven University of Technology. Erle-copter is a Linux-based drone that uses the award winning APM:Copter autopilot software. 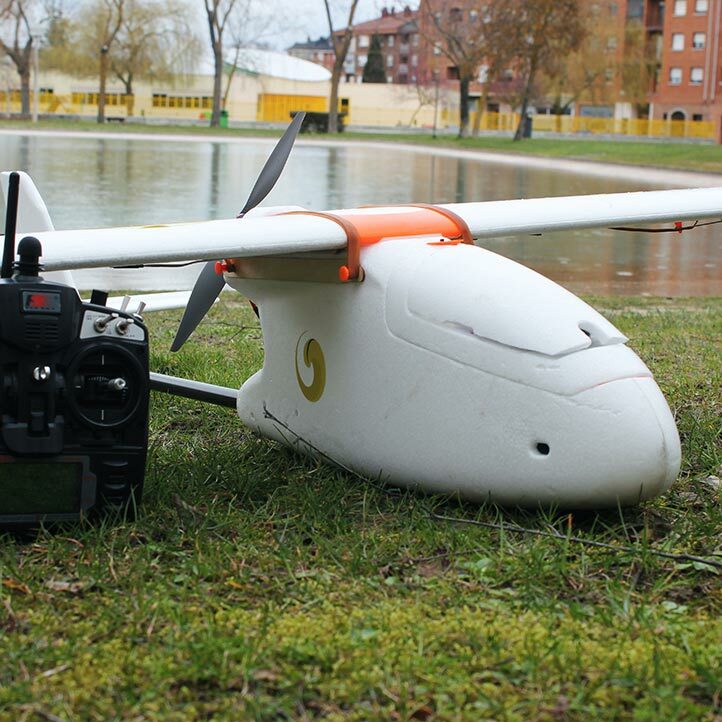 It’s capable of the different flight modes and ideal for outdoor operations. It has been designed for an extended flight time and it can carry a takeoff weight of about 2 kilograms. The PR2 is a state of the art mobile manipulator.